Academic Excellence – St. Joseph Catholic School is accredited through the Texas Catholic Conference Education Department, which is approved by the Texas Association of Private and Parochial Schools and the Texas Education Agency. We are part of a long tradition of excellence in Catholic education. Each year when our students take the IOWA Assessment, they consistently exceed national averages in all areas. A majority of our students go on to attend Catholic high schools or other private college preparatory high schools. 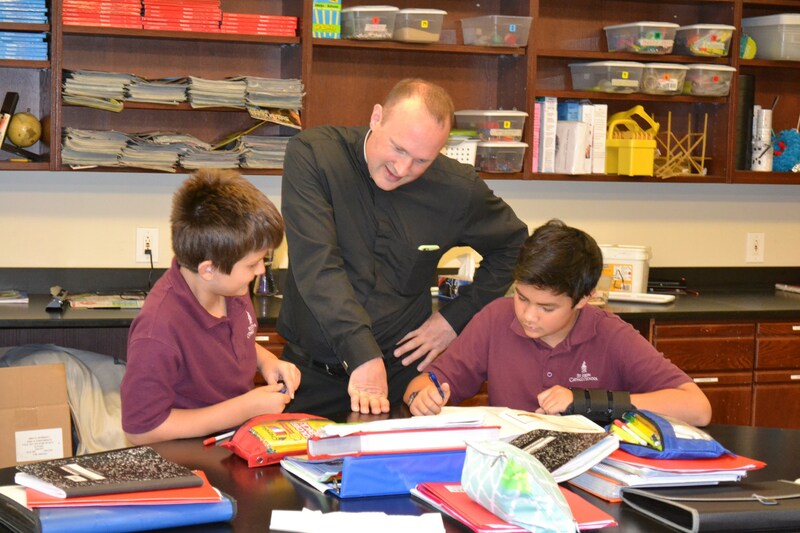 ­Curriculum – Our standards based curriculum meets or exceeds the requirements set forth by the Catholic Diocese of Dallas, the Texas Catholic Conference Education Department and the Texas Education Agency. In kindergarten through second grade, Saxon Phonics, a research-based phonics program lays a strong foundation for our beginning readers. The elementary students are also introduced to the principles of mathematics via a multisensory research based curriculum called Early Learning in Mathematics. The ELM curriculum contains specific instructional content and instructional design principles that enable students to develop the skills and strategies to understand essential concepts. Our middle school students are challenged by a rigorous core curriculum that prepares them for success in high school. Our language arts classes are taught in a double block in order to increase competence in both reading comprehension and writing. Our math students are offered the choice of algebra or pre-algebra, and our social studies and science classes incorporate research and writing into their semester goals. In addition, students in every grade attend weekly classes in fine arts, technology, and foreign language. 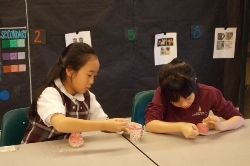 Application – St. Joseph’s students are given many interactive opportunities to apply and improve upon their critical thinking and problem solving skills. Some learn to play chess, or play an instrument. Students might also choose to join one of our competitive academic teams like Quiz Bowl, PSIA and Robotics. Our robotics students have won first place in the invention category for three consecutive years. Expression – St. Joseph also provides students with many different options in the area of the fine arts. The art program brings the styles and techniques of the masters into the classroom and showcases student work in an annual art show open to the community. The St. Joseph music program includes a choir that sings for school Masses, a weekly band class, and numerous other musical and theatrical opportunities throughout the year. PSIA students compete in creative writing, storytelling and drawing competitions. Curriculum guides may be found here.